In weather emergencies, advance warning can save lives. 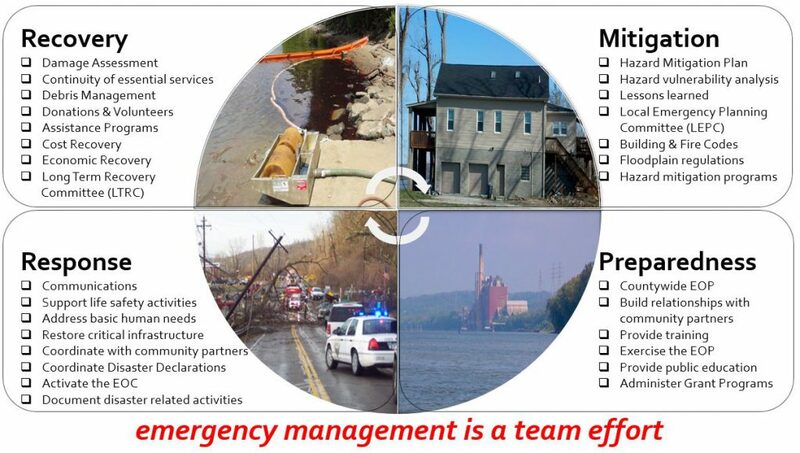 It is important to have multiple means of receiving alerts and to know what actions to take when warnings are issued. NOAA All-Hazard Radio. 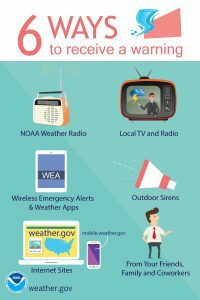 A NOAA Radio broadcasts National Weather Service alerts and warnings and is one of the most reliable notification methods. The radios can be programmed for specific geographic areas and community hazards. Outdoor Warning Sirens. Clermont County outdoor warning sirens are activated when a Tornado Warning is issued by the National Weather Service or a tornado or funnel cloud is reported by a public safety official or trained weather spotter. When the sirens sound, take shelter indoors, tune into a NOAA weather radio, local radio/television station, or reputable internet site to find out what is happening, and take the appropriate action. Personal Weather Notifications. The National Weather Service, FEMA, American Red Cross and many local media outlets offer electronic alerting services through apps, email, RSS feeds or text messages to cell phones, computers or other devices, either directly or via services such as Facebook and Twitter. These messages are available by subscription and can provide local information on severe weather, including watches and warnings.